Royal Caribbean announced that they will invest approximately $300 million to bring their latest features to their award-winning vessels through the year 2014. The Royal Advantage features are the highest rated amongst guests on their Oasis-class vessels. The updates through 2014 will offer a greater variety of dining and entertainment options, as well as technology upgrades. 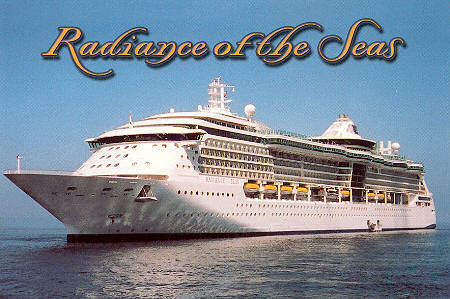 The Royal Advantage upgrades began with Radiance of the Seas in May 2011, and will be followed by Splendour of the Seas in November. In 2012, upgrades are scheduled for Vision-class ships including Rhapsody of the Seas (March 2012), Grandeur of the Seas (May 2012), as well as Radiance-class Serenade of the Seas (November 2012). All of the upgrades will be done during their scheduled dry dock. Upgrades include restaurants from Oasis-class of ships, such as Chops Grille, Rita’s Cantina, Izumi Restaurant, Park Café and Boardwalk Doghouse. Also included are new cabin designs, Royal Babies and Tots Nursery, Wi-Fi throughout the ships, digital wayfinding systems and oversized LED video screens on the pool decks. Would you like to have a guided tour of what goes on behind closed doors on a Royal Caribbean cruise? Royal Caribbean is implementing their “All Access Tour”. Beginning July 2011, they are offering this tour on all of their ships. 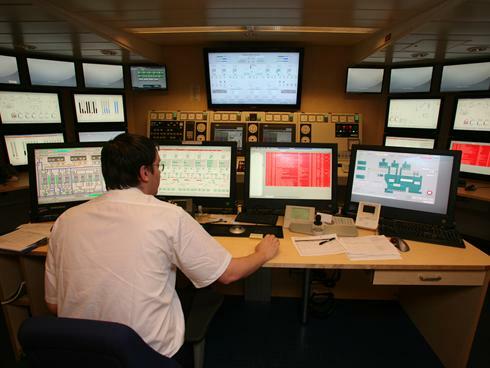 The tour will include a view of the ship’s bridge, galley, backstage of the main theater, engine control room, and others. Cruises shorter than seven nights will have a least one All Access Tour. Cruises of seven nights or longer will have at least two tours. The tours will be 3.5 hours in length and cost $150 per passenger. Passengers have been asking for these tours for quite a while. The tours can be purchased on board the ship. Princess Cruises and Carnival began offering behind the scenes tour two years ago. Royal Caribbean International announced that Serenade of the Seas will replace Brilliance of the Seas in cruises that leave from Dubai in the winter 2012-2013 season. The new sailings aboard Serenade of the Seas will offer 17 sailings that depart every Monday on seven-night itineraries that include stops in the United Arab Emirates and Oman from December 2012 through April 2013. Earlier today Royal Caribbean announced that it would be moving Voyager of the Seas to China for the Summer of 2012. This 138,000-ton, 3,114-passenger ship currently spends its summers in Europe. Voyager of the Seas will offer our- to 10-night sailings out of Shanghai, with stops in Fukuoka and Kobe, as well as Busan and Jeju in Korea. Voyager will sail a series of shorter cruises out of Singapore in May 2012, before she arrives in Shanghai. 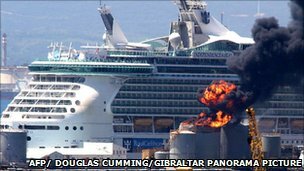 Ten cruise ship passengers on board Royal Caribbean’s Independence of the Seas were injured when an explosion and fire occurred at the port of Gibraltar. The blast took place at the territory’s main fuel storage facility on the northern part of the harbor. The Independence of the Seas was forced to pull out to sea for safety. YouTube video shows the raging fire as Independence of the Seas leaves the port for safety. Royal Caribbean’s Radiance of the Seas entered dry dock in British Columbia, Canada where it will receive Allure-ing upgrades before reentering service in Australia after it is done with the work on June 10. Royal Caribbean code-names next ship class ‘Project Sunshine’ – Travel Weekly.